Singers Preparation Scholarship from Audition Oracle. Audition Oracle is the No. 1 source for Opera Auditions and Singers in Europe and applications are now open for our Singers Preparation Scholarship. 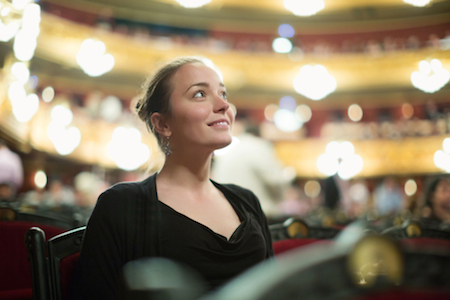 This scholarship will award £500 of tuition/support to a singer in order to provide extra training in preparation for their first (or next) professional engagement (be it an opera, concert or related performance). This scholarship is open to all singers. There are no age restrictions, no nationality restrictions and you don't have to be a member of Audition Oracle to apply. Simply click on the link below, fill out your application form and submit it by the 31st of December with your CV and any other supporting information about how the £500 of tuition/professional support will help your next project thrive. The recipient will be announced on the 7th of January. Tax time again, but what can I claim as an expense? Taxes and singers tend not to be a happy mix. Tax and the administration of the business of being a singer is often the last of their concerns but can be the first thing on their worry list. A professional performer needs to keep proper accounting records as these contain the information required for tax returns. HMRC can request to inspect records so it is best to keep up to date with it all in an on-going basis rather than just throwing it at somebody a few days before the deadline. These records should include the details of expenses incurred that are tax deductible. Claimable expenses are a question that comes up a lot of the time between singers, musician, actors and others of a creative nature. Asking each other what they put through as expenses, proportions of costs that are taken, and in some cases what income they say should not be included. Talk in the green room or even on some social media sites are the equivalents of ‘the man in the pub told me’ stories. When I hear this, my eyes drop and my head falls into my hands. Accountants may seem like expensive beasts, but getting one that knows your industry well, and the long term gain is that they can keep you on the straight and narrow with you not claiming things that are not allowed and to make you think about things you may not have realised could be claimable. 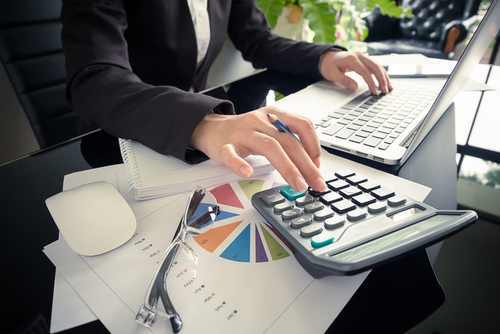 The law states that expenses claimed are to be ‘wholly and exclusively incurred in the performance of the business’, but it is not always so clear cut. Many items of expenditure could be claimed as ‘wholly and exclusively’, but it should be used with care and not abused. Over claiming can lead to problems later on if there is an inspection by the taxman and keeping paperwork is key to supporting any claims. Singing & coaching lessons and potentially acting & dance classes if needed for specific roles or audition. Clothing – Only items that are specific costume are allowable, and make sure you don’t wear them to the venue. General clothing because you are in the public eye, or for rehearsals etc. are not allowable as they do not fit with wholly & exclusively rules. You need to wear something to the audition for decency & warmth. I always advise people to get a photo of themselves wearing the outfit in the place it was bought for (that red carpet awards ceremony), and if you use to the 25 wedding anniversary 4 months later, it is incidental use. Personal grooming - another area where people fall foul of the rules. If you need to be blonde for a role and you are not, then in order to perform the role, the hairdresser trip will be allowable. Regular grooming of say haircuts every 6 weeks would not be allowable, or the skin care & beauty products. If you buy stage make up for stage, then that is allowable. Car costs v mileage – it is one or the other, and once you have made the choice one year, you need to stick to it unless there is a change of vehicle. Whichever method is selected, you need to record your mileage as well as the start & end mileage for your tax year. You should not turn round and say, oh, it’s about 25% business use. HMRC & accounting records will need to be in place. But don’t panic, if you have the detailed proof for one year and things are similar the next year, keep the proof and then apply that percentage. Subsistence – don’t get me started. Yes, you need to have receipts for meals you buy whilst you are away from your business base (usually your home), but you need to be at least 10 miles away and be gone for a reasonable amount of time. The cost should be similar to what you would normally spend on the meal at that time of day. If you would normally grab some soup and a sandwich, then that is what you would have as claimable subsistence. You can’t just rock up to the local hotel for a three course meal and wine. Health is an issue. If you were a violinist and had to buy strings and rehair a bow, then that would be an allowable cost. As singers, if something goes a bit array with a cold or chest infection, body maintenance and cold cures are not an allowable expense, including neck massages etc. It is not wholly and exclusively for the singing business as you benefit personally from getting rid of a cold. It’s the same with the gym. Even though we need to keep fit to be able to sing the way we do, gym membership is not allowable as there are other alternatives. Sorry. Mobile phone & internet. Technically it is the cost of the calls and the increase in costs of using your phone & internet as part of your business as against what they were without the business use. In reality, we do put forward our best guess as proportions here, but you still may get questions on it. Working from home - I won’t go into it here as it can get complicated. There are more details in my downloadable white paper. This is not an exhaustive list. There are plenty more costs that are allowable, and ones that aren’t. Another thing to look out for is if you are singing in a group and you are the main organiser and the concert promotor pays you, the full income is yours on your tax return. Should you pay other singers a share of the fee, then this is an allowable cost, but either get an invoice from them, or get them to sign a receipt. Finally if you are singing abroad and the promoter deducts withholding tax, this is treated in a separate area of the tax return. The income is declared in full, but you may be able to use the tax paid to offset UK tax due. 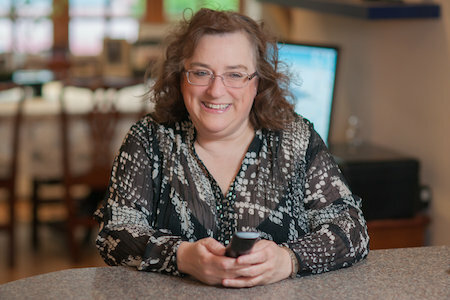 That is a different blog post, or something I keep up my sleeve for my clients! If you would like to get a copy of the white paper, please go to www.performanceaccountancy.co.uk/musicians and scroll to the bottom where you will find a sign up box. If all goes well, you’ll get an email with the link inside – but check your spam or other folders as it may sneak into there. 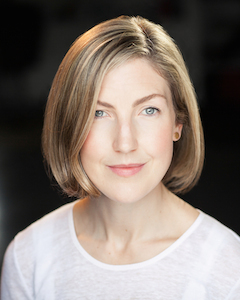 An exclusive Audition Oracle blog post by director Nina Brazier. From sending in your CV to presenting yourself in an audition - what exactly is a director looking for in a young or emerging singer? Correspondence should be clear and direct from the outset, starting with a concise, well-laid-out CV. Don’t include jobs that are irrelevant to your career as a singer – I was once sent an 11-page CV which was obviously also used for temp-work! It should be clear from your application that you take yourself and your work seriously, and this should be reflected in the quality of everything you submit – your headshot, your CV and your website (if you have one). Make sure you are happy to be judged on anything of yours that is available online – those Youtube videos from a few years back may well be dug out, so if that’s not the quality of your work now – get them taken down. Headshots should be an honest and professional image of you (no iPhone shots and definitely no pets in shot) and should preferably be something close to how you present yourself in an audition. It might be obvious, but CVs should avoid unusual fonts; reading it should be effortless, we shouldn’t get lost in the swirls of Edwardian Script or even Comic Sans. If you have too many masterclasses to squeeze on your CV, make an executive decision and leave some off. Check all your attachments before winging off that email – each one should be clearly labeled, as at some point it will be placed in a folder with many others, and it makes it much easier to find later. Every now and then I receive beautifully-written application emails with no attachments! Later correspondence is also incredibly important - be clear about confirming your audition time or requesting NAs during the rehearsal period, and reply promptly and professionally. If you have unanswered questions (Is there a warm up room? Will I need to bring my own pianist?) think ahead and try to ask them early in your first correspondence rather than creating more email traffic later on. The whole of the above can create an impression of you as a person before we have even heard you sing a note – how professional and ‘together’ you are, regardless of age or experience. On the other hand it could also create an impression of someone flakey and unreliable before we’ve even clapped eyes on you. 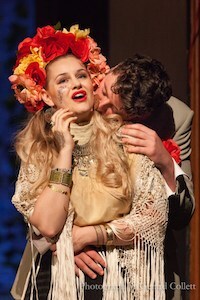 LEFT: Cherise Lagasse and Timothy Morgan (Alcina and Ruggiero) in Ryedale Festival Opera's Alcina. Photo: Gerard Collett. Walking into an audition must be an incredibly nerve-wracking experience, and I have so much respect for singers and the sheer guts it must take to present to a room of strangers – or perhaps worse, colleagues or friends. Unfortunately I can’t assist with how one projects this precious confidence – unless I’m preparing your audition rep that is - I can only talk about it from the other side of the table, but I hope the perspective will be useful nevertheless. As I mentioned before, try to present something similar to your headshot if you can – if anyone has come into the waiting room calling out your name and then looking confused when you declare yourself, perhaps double-check that your headshot is an honest representation of who you are (I don’t mean forego the glamour, we are in the opera industry after all!). What I ideally want to see is a warm, confident person who is comfortable and in control of their talent. This warmth and friendliness goes a long way for me – as a director I will have to spend weeks with you, so as well as (of course) you being right for the role, I also want to know we’re going to have a nice time together. I know everyone has an opinion on audition outfits, and I’m sure I’m not saying anything new. Making an effort in your outfit (not too short or tight), hair (clean and preferably off your face, there’s nothing worse than hair waving around to distract a panel from the actual singing) shoes (clean and relevant to the outfit) is definitely a good thing, and will get you a long way. Crucially, you need to be confident and comfortable in your outfit, and relaxed so that you can concentrate on the most important part – the actual singing. If you carry off a put-together look with ease and confidence, it continues to add to the impression of you as a person that cares about how they present themselves and their abilities to the outside world, and that’s exactly what we’re after. Two further things I can suggest for auditions, again perhaps obvious, so forgive me if I’m saying things you already know. Cancellations: of course we understand when situations or illnesses crop up unavoidably - the best thing is to be honest and direct with us. If you do have to cancel, try to do it as early as physically possible, and if it has to be done on the day, by phone to make sure a message has got through. If you’re ‘suddenly’ stuck in France, surely you know the evening before? If you are struck down with a bug, let us know first thing in the morning, not just before your audition time – there might still be time for us to invite someone else who is standing by hoping for a slot. If you cancel in a late or thoughtless way and you apply for an audition at a later date for the same company – the chances are they will remember, and might think twice about inviting you again. Secondly, it can be a useful thing to be early if you can. I know this is not always be possible, but if another singer is unavoidably held up, you might be able to swop with their slot, which stops the auditions getting delayed, and puts us all in a good mood! Through the crucial early stages of hearing from singers and then meeting them in person, I can’t underline enough the importance of the clarity and confidence with which you present and express yourself. When it comes to a decision between two equally-good singers, it might just tip the balance.